Members of a prestigious local choir will be filling Hoole Methodist Church in Chester, with songs, old and new, on February 17th 2019 at 3pm. Admission is free but donations will be warmly welcomed to support local people living with MND and to fund vital research. The Hawarden Singers is a well established mixed choir with a varied repertoire, which performs music from Bach to the Beatles. The choir, conducted by Malcolm Williams is well known in the Chester and North Wales area and sings regularly, both locally and further afield. Recent trips include the Isle of Man and France. 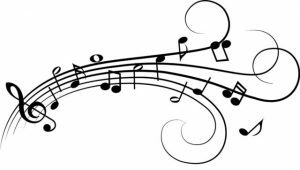 John Evans, Director of Music at the church, has organised a series of monthly charity concerts that will take place on the third Sunday of each month, starting at 3pm and lasting for around 50 minutes followed by refreshments. John said: “The concerts are intended to increase awareness of the Church within the Hoole Community, to offer the opportunity to hear good quality live music at a warm, friendly local venue, and to raise some valuable money for charity. The concerts will also offer the opportunity for the Community and Charities to meet and share fellowship over refreshments following the concerts”. Please tell your friends and family, come along and enjoy a harmonious hour of song! DIRECTIONS Head up Hoole Road, the A56, towards Chester. on your left. Take the second left into Hamilton Street.